[S204] Records of Bank Sutherland Funeral Home (later McCammon Funeral Home), Corsicana, Texas, in Navarro Leaves and Branches, vol. VI, no. 3 (Aug 1983), p. 27 (naming David Redden, born in Alabama, as her father). [S204] Records of Bank Sutherland Funeral Home, above, in Navarro Leaves and Branches, vol. VI, no. 3 (Aug 1983), p. 27 (naming Arabelle Eldridge, born in Alabama, as her mother). [S189] Navarro County Cemetery Records, vol. 9 (Corsicana, Tex. : The Navarro County Gen. Soc'y, 1989), p. 95 (giving only the date). [S204] Records of Bank Sutherland Funeral Home, above, in Navarro Leaves and Branches, vol. VI, no. 3 (Aug 1983), p. 27. [S299] "Clopton Bible Records," in Navarro Leaves and Branches, vol. 12, issue 2 (May 1989), p. 45 (giving only the date). These four pages are reproductions of a family record from an unidentified bible that probably was originally owned by Benjamin M. Clopton and his second wife, Texanna T. Lynn. Neither the contributor of the copies nor the owner of the bible is identified. [S7] Navarro County, Texas Marriages, vol. 1, 1846-1888 (Corsicana, Tex. : The Navarro County Gen. Soc'y, 1987), p. 69 (citing Navarro County, Texas Marriage Records, vol. IV, p. 204). [S1076] 1900 U.S. Census, Navarro County, Tex., sheet 12B, lines 79 and 80 (stating that they had been married seventeen years). [S11] Index to Texas Death Records (Austin, Tex. : Tex. Dept. of Health, Bur. of Vital Statistics), typescript, 1903-40, vol. 10, p. 4793, file 26993. [S18] Rice Rustler, Rice, Tex., p. 95. [S204] Records of Bank Sutherland Funeral Home, above, in Navarro Leaves and Branches, vol. VI, no. 3 (Aug 1983), p. 27 (date only). [S189] Navarro County Cemetery Records, vol. 9, above, p. 95 (giving her name as Helen Arabella Clopton) (common stone with William Walker Clopton). [S189] Navarro County Cemetery Records, vol. 9, above, p. 95 (giving her name as Helen Arabella Clopton). [S1076] 1900 U.S. Census, Navarro County, Tex., sheet 12B, line 80. Birth*: She was born in 1825 in Tennessee. Marriage*: She married John Steele Clayton, son of Morgan Clayton and Molly Steele. Death*: She died after 1890 in Memphis, Shelby County, Tennessee. [S50] William S. Grubbs, 14103 Sableridge Dr., Houston, Tex. 77014, letter to Roger Bartlett, 1 Dec 1993. Birth*: He was born circa 1823 in Cornersville, Marshall County, Tennessee. Marriage*: He married Mary Trentham on 26 January 1842 in Lincoln County, Tennessee. Marriage*: He married Nancy Meadows on 20 March 1844. Death*: He died on 1 February 1859 in Corsicana, Navarro County, Texas. Marriage*: She married Napolean Bonaparte ('Bony') Clayton, son of Morgan Clayton and Molly Steele, on 26 January 1842 in Lincoln County, Tennessee. Death*: She died before 1844. Marriage*: She married Napolean Bonaparte ('Bony') Clayton, son of Morgan Clayton and Molly Steele, on 20 March 1844. Marriage*: She married William M. Clayton, son of Morgan Clayton and Molly Steele, on 4 October 1855. Other Names*: Annie Bachman, Anna Bachman, Annie Q. Mills Bachman Cochran, Annie Cochran. Obituary*: Death of Mrs. J. P.Cochran. [S651] Lynell Moss, e-mail address, computer files sent to Roger Bartlett, 31 Aug 2001, (naming William Fletcher Bachman as her father). [S867] Pat Sproat, chart of descendants of John Bachman sent to Roger Bartlett, 11 Oct 2003 (naming William Fletcher Bachman as her father). [S651] Lynell Moss, 31 Aug 2001 computer files, above, (naming Mary E. ['Mollie'] Clayton as her mother). [S867] Pat Sproat, chart of descendants of John Bachman, above (naming Mary Elizabeth Clayton as her mother). [S225] Maggie Highnote, undated records. These five pages are marked "Record from Family Bible (Clayton)" on one page and "Family Record" on another. Two pages are on letterhead of Charles H. Highnote, 616 S. 15th St., Corsicana, Tex. Some or all are thought to have been written by Mrs. Highnote from a family bible. The bible probably is now in the San Jacinto battlefield museum, near Houston, Texas. Joe Guthrie, Corsicana, Tex., provided copies to Roger Bartlett on 31 May 1973. [S755] Anna Baker & Anne Cochran, Cochran Chapel Cemetery (1976), above (not giving the date or place of marriage but identifying her as wife of James Porter Cochran and him as husband of Annie Bachman Cochran in the compilers' notes). [S67] The Dallas Morning News, Dallas, Tex., 23 Feb 1910, p. 7 (obituary of Mrs. J. P. Cochran) (not giving the date but identifying her as Mrs. J. P. Cochran). [S755] Anna Baker & Anne Cochran, Cochran Chapel Cemetery (1976), above (giving the date but not naming the place). [S1179] Certificate of death, no. 4198 for Mrs. Annie B. Cochran, dated 22 Feb 1910, per copy viewed online at pilot.familysearch.org on 4 Jul 2008 (stating that she died on 22 Feb 1910 "near Cochran Chapel"). [S67] The Dallas Morning News, Dallas, Tex., 23 Feb 1910, p. 7 (obituary of Mrs. J. P. Cochran). [S1179] Certificate of death, no. 4198 for Mrs. Annie B. Cochran, dated 22 Feb 1910, per copy viewed online at pilot.familysearch.org on 4 Jul 2008. [S67] The Dallas Morning News, Dallas, Tex., 23 Feb 1910, p. 7. [S651] Lynell Moss, 31 Aug 2001 computer files, above, (stating that she was born in Nov 1876 in Dallas County, Texas). [S867] Pat Sproat, chart of descendants of John Bachman, above (stating that she was born on 25 Sep 1878 in Dallas, Dallas County, Texas). [S580] Anne Cochran, family group sheet, 18 Aug 2000, (stating that they married on 30 Aug 1904). [S67] The Dallas Morning News, Dallas, Tex., 23 Feb 1910, p. 7 (obituary of Mrs. J. P. Cochran) (stating that she was born in Dallas County, Texas on 25 Sep 1877 and died "at the old Cochran home in the country north of the city Monday night"). [S1179] Certificate of death, no. 4198 for Mrs. Annie B. Cochran, dated 22 Feb 1910, per copy viewed online at pilot.familysearch.org on 4 Jul 2008 (stating that she was born on 25 Sep 1877). [S242] Joe Guthrie, Corsicana, Tex., undated biography of Joseph Alvey Clayton, given to Roger Bartlett by Joe Guthrie 31 May 1973, p. 2 (naming Joseph Alvey Clayton and Amanda Poole as his grandparents). [S651] Lynell Moss, e-mail address, computer files sent to Roger Bartlett, 31 Aug 2001, (giving his name as William Bachman and naming William Fletcher Bachman as his father). [S867] Pat Sproat, chart of descendants of John Bachman sent to Roger Bartlett, 11 Oct 2003 (naming William Fletcher Bachman as his father). [S577] California Death Records, online http://www.rootsweb.com/rootsweb/graphics/ca.html, viewed on 1 Jun 2000 (stating that his mother's maiden name was Clayton). [S651] Lynell Moss, 31 Aug 2001 computer files, above, (giving his name as William Bachman and naming Mary E. ['Mollie'] Clayton as his mother). [S867] Pat Sproat, chart of descendants of John Bachman, above (naming Mary Elizabeth Clayton as his mother). [S225] Maggie Highnote, undated records (giving the date but not the place and stating that it was cold when he was born). These five pages are marked "Record from Family Bible (Clayton)" on one page and "Family Record" on another. Two pages are on letterhead of Charles H. Highnote, 616 S. 15th St., Corsicana, Tex. Some or all are thought to have been written by Mrs. Highnote from a family bible. The bible probably is now in the San Jacinto battlefield museum, near Houston, Texas. Joe Guthrie, Corsicana, Tex., provided copies to Roger Bartlett on 31 May 1973. [S312] Social Security Death Index, online at http://tinyurl.com/AncestrySSDI, viewed on 19 Jan 1998 (giving the date but not the place). [S577] California Death Records, online http://www.rootsweb.com/rootsweb/graphics/ca.html, viewed on 1 Jun 2000 (giving the date but not the place). [S961] Find A Grave, online at http://www.findagrave.com, memorial for James William Bachman, memorial no. 75504153, viewed on 26 Jan 2014. [S961] Find A Grave, online, above, memorial for James William Bachman, memorial no. 75504153, viewed on 26 Jan 2014 (not giving the date or place). [S961] Find A Grave, online, above, memorial for Edith May Rogers Bachman, memorial no. 75504151, viewed on 26 Jan 2014 (not giving the date or place). [S312] Social Security Death Index, online at http://tinyurl.com/AncestrySSDI, viewed on 19 Jan 1998 (stating that he died in Oct 1966; not naming the place of death but stating that he lived in Los Angeles, California when he died). [S577] California Death Records, online http://www.rootsweb.com/rootsweb/graphics/ca.html, viewed on 1 Jun 2000 (not naming the place of death but stating that he lived in Cuba, California when he died). [S242] Joe Guthrie, biography Joseph Alvey Clayton, above, p. 2 (stating that he lived in Los Angeles, California). [S867] Pat Sproat, chart of descendants of John Bachman, above (stating that he lived in Los Angeles, California and worked for movie studios, including Lansky Studios). Other Names*: Joe A. Clayton, Joseph Clayton, Joe Clayton, Joe Alvey Clayton. [S189] Navarro County Cemetery Records, vol. 9 (Corsicana, Tex. : The Navarro County Gen. Soc'y, 1989), p. 32. [S189] Navarro County Cemetery Records, vol. 9, above, p. 32 (giving only the date). Note*: He lived in Corsicana, Texas. Other Names*: William Clayton, Will Clayton, Zene Clayton, Zenie Clayton. "W. F. (Zenie) Clayton, 66, former professional baseball man, Corsicana native, died in a Crosbyton hospital Wednesday night [23 Jan 1952]. "Funeral services will be held at 2 p. m. Friday from the McCammon chapel with burial in Oakwood cemetery. The rites will be conducted by the Rev. Lloyd Hamilton, pastor of the Crosbyton Methodist church, assisted by the Rev. W. R. Hall, Marlin, Presbyterian minister. "Clayton had been manager of a cotton warehouse at Crosbyton for a number of years, and was employed at cotton warehouses and compresses for many years after baseball seasons. "He broke into baseball shortly after the turn of the century, playing with Ardmore in an independent league before occupying third base for Cleburne and Temple in the old Texas league in 1905 and 1906 prior to going with the St. Louis major league club. "He was an umpire in the Class AA American Association for a number of years prior to his retirement from baseball about 15 years ago. [S242] Joe Guthrie, biography Joseph Alvey Clayton, above, p. 3 (naming Joseph Halbert Clayton as his father). [S1207] Corsicana Daily Sun, Corsicana, Tex., online archive at http://corsicana.newspaperarchive.com, 24 Jan 1952, p. 1, col. 6 (obituary of W. F. ['Zenie'] Clayton) (not giving the date but stating that he was sixty-six years old when he died on 23 Jan 1952). [S961] Find A Grave, online at http://www.findagrave.com, memorial for W. F. "Zenie" Clayton, memorial no. 33857459, viewed on 11 Aug 2014. [S11] Index to Texas Death Records (Austin, Tex. : Tex. Dept. of Health, Bur. of Vital Statistics), typescript, 1903-40, vol. 10, p. 210, file 970. [S189] Navarro County Cemetery Records, vol. 9, above, p. 32 (giving only the year). [S242] Joe Guthrie, biography Joseph Alvey Clayton, above, p. 3 (date only). [S1207] Corsicana Daily Sun, Corsicana, Tex., online archive, above, 24 Jan 1952, p. 1, col. 6 (obituary of W. F. ['Zenie'] Clayton) (stating that he died that night). [S961] Find A Grave, online, above, memorial for W. F. "Zenie" Clayton, memorial no. 33857459, viewed on 11 Aug 2014 (giving the month and year but not the place or other information). [S189] Navarro County Cemetery Records, vol. 9, above, p. 32 (giving his name as W. F. (Zene) Clayton) (not giving the date). [S1207] Corsicana Daily Sun, Corsicana, Tex., online archive, above, 24 Jan 1952, p. 1, col. 6 (obituary of W. F. ['Zenie'] Clayton). [S961] Find A Grave, online, above, memorial for W. F. "Zenie" Clayton, memorial no. 33857459, viewed on 11 Aug 2014 (not giving the date). [S1207] Corsicana Daily Sun, Corsicana, Tex., online archive, above, 24 Jan 1952, p. 1, col. 6 (reprinted here with consent of the Corsicana Daily Sun, with obvious typographical errors corrected). [S242] Joe Guthrie, biography Joseph Alvey Clayton, above, p. 3 (naming William Franklin Clayton as her father). [S242] Joe Guthrie, biography Joseph Alvey Clayton, above, p. 3 (naming William Franklin Clayton as his father). Other Names*: Newton Clayton, Newton Halbert Clayton, N. H. Clayton, Buster Clayton. "Surviving are his wife, two children, Ben Fortson III and Kay Fortson, all of Oklahoma City; mother, Mrs. Earl Johnson Fortson, Fort Worth; a brother, Earl Fortson, and a sister, Carolyn Fortson, both of Fort Worth, and other relatives." "Advice received Thursday night from a Chickasha, Okla., hospital by relatives here stated that Buster Clayton of Corsicana, had sustained head, chest and back injuries in an automobile accident in which Ben J. Fortson, Jr., 31, of Fort Worth, was fatally injured. While his injuries are serious, he is expected to recover. "No additional information had been received here shortly after noon Friday. "J. H. (Buster) Clayton, aged 38 years, well known Corsicanan, died at the family residence here Saturday night, following injuries in an automobile accident near Chickasha, Okla., March 26. "Funeral services were held Sunday afternoon at 5 o’clock from the family home, 1510 West Fifth avenue, with burial in Oakwood cemetery. The rites were conducted by Rev. W. R. Hall, pastor of the First Presbyterian church. "Surviving are his mother, Mrs. J. H. Clayton, two brothers, Joseph A. Clayton, Oklahoma City, and W. F. (Zenie) Clayton, Corsicana, scout for the Brooklyn Dodgers of the National league, and other relatives. "Clayton received head and internal injuries in an accident that claimed the life of Ben Fortson, Jr., former Corsicanan. He was at the P. and S. Hospital for several weeks. "Pallbearers were Dude Ransom, James W. McCammon, W. E. Griffin, W. M. Peck, Jr., Jim Redden and Jimmie Lorimer. [S961] Find A Grave, online at http://www.findagrave.com, memorial for Newton Halbert Clayton, memorial no. 46324211, viewed on 12 Aug 2014. [S961] Find A Grave, online, above, memorial for Newton Halbert Clayton, memorial no. 46324211, viewed on 12 Aug 2014 (giving the year but not the place or other information). [S1207] Corsicana Daily Sun, Corsicana, Tex., online archive at http://corsicana.newspaperarchive.com, 2 Jun 1941, p. 3, col. 6 (obituary for Buster Clayton). [S189] Navarro County Cemetery Records, vol. 9, above, p. 32 (not giving the date). [S961] Find A Grave, online, above, memorial for Newton Halbert Clayton, memorial no. 46324211, viewed on 12 Aug 2014 (not giving the date). [S1207] Corsicana Daily Sun, Corsicana, Tex., online archive, above, 28 Mar 1941, p. 11, col. 4 (second item) (reprinted here with consent of the Corsicana Daily Sun, with obvious typographical errors corrected). [S1207] Corsicana Daily Sun, Corsicana, Tex., online archive, above, 22 Mar 1941, p. 1, col. 8 (first item) (reprinted here with consent of the Corsicana Daily Sun, with obvious typographical errors corrected). [S1207] Corsicana Daily Sun, Corsicana, Tex., online archive, above, 2 Jun 1941, p. 3, col. 6 (reprinted here with consent of the Corsicana Daily Sun, with obvious typographical errors corrected). [S961] Find A Grave, online at http://www.findagrave.com, memorial for Mattie Clayton, memorial no. 7150667, viewed on 13 Apr 2014. [S241] Susie Robinson, Corsicana, Tex., letter to Will Bachman, Los Angeles, California, 18 Sep 1938, The Dallas Quarterly, vol. XXXIII, pp. 237-38 (Dec 1987), p. 5. [S1078] 1920 U.S. Census, Navarro County, Tex., sheet 8B, line 91 (naming Hervey Clayton as his father). [S795] Mary Ann Smith, electronic mail to Roger Bartlett, 31 Dec 2002, (giving his name as Thea and citing to Social Security Death Index). [S312] Social Security Death Index, online at http://tinyurl.com/AncestrySSDI, viewed on 5 Jan 2003 (giving his name as Thea). [S1078] 1920 U.S. Census, Navarro County, Tex., sheet 8B, line 91 (stating that he was sixteen years old and born in Texas). [S795] Mary Ann Smith, electronic mail to Roger Bartlett, 31 Dec 2002, (giving the date but not the place). [S961] Find A Grave, online at http://www.findagrave.com, memorial for Thea Clayton, memorial no. 7150669, viewed on 13 Apr 2014 (giving the date but not the place). [S1559] Texas Death Index, 1964-1998, online at https://www.familysearch.org, record for Thea Clayton, viewed on 25 Jan 2019. [S961] Find A Grave, online, above, memorial for Thea Clayton, memorial no. 7150669, viewed on 13 Apr 2014. [S242] Joe Guthrie, biography Joseph Alvey Clayton, above, p. 2. [S1078] 1920 U.S. Census, Navarro County, Tex., sheet 8B, line 91 (stating that he was a blacksmith with his own shop). [S961] Find A Grave, online, above, memorial for Thea Clayton, memorial no. 7150669, viewed on 13 Apr 2014 (stating that he was born on 15 Dec 1903 and including a photograph of his grave marker that gives that date). Other Names*: Tom Vaughan, Thomas Vaughn, Tom Vaughn. [S961] Find A Grave, online at http://www.findagrave.com, memorial for Thomas Milton Vaughan, memorial no. 30558444, viewed on 28 Dec 2018. [S1548] Texas, County Marriage Records, 1837-1965, online at https://www.familysearch.org, record for Mabel Reid and Thomas M. Vaughan, page 394, viewed on 27 Dec 2018. [S1549] The Seguin Gazette, Seguin, Tex., online at http://www.newspapers.com, 6 Dec 1961, p. 3, col. 2 (obituary for Mrs. Mabel Reid Vaughan) (describing her as the "widow of the late Tom Vaughan"). Other Names*: Joseph Reid, Joe McDonald Reid, Joe Reid. Note*: • The 1900 U.S. census says he was born in January 1884 in Texas. • He lived at Hacienda El Carocol, La Cruz, Tamalipas, Mexico. • His Find A Grave memorial, which includes his picture, another exhibit, and a brief biography, is here. [S1076] 1900 U.S. Census, Navarro County, Tex., sheet 11A, line 49, and sheet 11B, line 2 (naming John M. Reed as his father). [S961] Find A Grave, online at http://www.findagrave.com, memorial for Joe McDonald Reid, memorial no. 184737197, viewed on 26 Dec 2018. [S961] Find A Grave, online, above, memorial for Joe McDonald Reid, memorial no. 184737197, viewed on 26 Dec 2018 (giving the place of death as Padilla, Padilla Municipality, Tamaulipas, Mexico). [S1540] Report of the Death of an American Citizen for Joe McDonald Reid, above (stating that he died at 10:15 p.m. and giving the place of death as Hacienda El Caracol, Municipality of Padilla, Tamaulipas, Mexico). [S961] Find A Grave, online, above, memorial for Joe McDonald Reid, memorial no. 184737197, viewed on 26 Dec 2018 (describing the family plot's location as Hacienda El Caracol, Municipality of Padilla, Tamaulipas, Mexico). [S1540] Report of the Death of an American Citizen for Joe McDonald Reid, above (describing the place of burial as Hacienda El Caracol, without more). [S1076] 1900 U.S. Census, Navarro County, Tex., sheet 11B, line 2 (first bullet). [S242] Joe Guthrie, biography Joseph Alvey Clayton, above, p. 2 (second bullet). [S1540] Report of the Death of an American Citizen for Joe McDonald Reid, above (third bullet). Other Names*: Hazel Reid Hitchman, Hazel Hitchman. Blair Woman Instantly Killed and Three Others Injured When Car Plunges Off the Roadway. "BLAIR, Neb., Feb. 9.—(AP)—Mrs. Alex Hitchman, the third member of the family to die within six weeks and the second to be killed accidentally, was instantly killed, another woman was probably fatally inured and two others were severely cut and bruised when the automobile Mrs. Hitchman was driving plunged off the road near DeSoto shortly before noon today. "Mrs. Alma LaCour of New Orleans, riding in the front seat with Mrs. Hitchman, is in a critical condition in the Blair hospital. Miss Laura Reid, a sister of Mrs. Hitchman, and Mrs. Frank Curley were cut about the head, but not seriously injured. Two other occupants of the car, Mrs. C. T. Farnaham and Mrs. E. B. Carrigan, escaped injury. "The accident occurred when Mrs. Hitchman, who was driving about forty miles an hour, approached a bridge, failing to see a car parked on the opposite side. In an effort to swing around the machine she is believed to have lost control of her car. "Mrs. Hitchman’s sudden death follows that of her son, Alex, jr., fourteen, who died at Blair less than a month ago after an acute attack of appendicitis. Her nephew, Eugene Hitchman, twelve, was killed a short time previously when a .22 caliber rifle, carried by a playmate, was accidentally discharged. "Surviving Mrs. Hitchman are her husband, Alex Hitchman, president of the Farmers State bank here, and a son, Robert. [S1076] 1900 U.S. Census, Navarro County, Tex., sheet 11A, line 49, and sheet 11B, line 3 (naming John M. Reed as her father). [S961] Find A Grave, online at http://www.findagrave.com, memorial for Hazel Reid Hitchman, memorial no. 158523713, viewed on 26 Dec 2018 (naming John McDonald Reid as her father). [S961] Find A Grave, online, above, memorial for John McDonald Reid, memorial no. 184729669, viewed on 26 Dec 2018 (naming John McDonald Reid as his father). [S961] Find A Grave, online, above, memorial for Hazel Reid Hitchman, memorial no. 158523713, viewed on 26 Dec 2018 (naming Dixie Rena Clayton Reid as her mother). [S961] Find A Grave, online, above, memorial for Dixie Rena Clayton Reid, memorial no. 158523566, viewed on 25 Dec 2018 (naming Dixie Rena Clayton Reid as her mother). [S1076] 1900 U.S. Census, Navarro County, Tex., sheet 11B, line 3 (stating that she was born in Nov 1886 in Texas without further information). [S1541] NebraskaState Journal, Lincoln, Neb., online at http://www.newspapers.com, 9 Feb 1927, p. 1, col. 1. [S1541] NebraskaState Journal, Lincoln, Neb., online at http://www.newspapers.com, 10 Feb 1927, p. 21, cols. 7-8. [S961] Find A Grave, online, above, memorial for Alec Byers Hitchman, Jr., memorial no. 158523894, viewed on 26 Dec 2018 (naming Hazel Reid Hitchman as his mother). [S961] Find A Grave, online, above, memorial for Hazel Reid Hitchman, memorial no. 158523713, viewed on 26 Dec 2018 (naming Hazel Reid Hitchman as his mother). [S1076] 1900 U.S. Census, Navarro County, Tex., sheet 11A, line 49, and sheet 11B, line 5 (naming John M. Reed as his father). [S1076] 1900 U.S. Census, Navarro County, Tex., sheet 11B, line 5. [S961] Find A Grave, online at http://www.findagrave.com, memorial for John McDonald Reid, memorial no. 184729669, viewed on 26 Dec 2018. Other Names*: Alberta Leader, Alberta Marie Leader Clayton, Alberta Marie Clayton, Alberta Leader Clayton, Alberta Clayton. "Funeral services for Mrs. Alberta Clayton, aged 39, who died on Thursday afternoon [27 Dec 1928] at 2:10 o’clock following a week’s illness, will be held Sunday afternoon at 2 o’clock from the family home, 1107 West Collin street. Interment in Oakwood cemetery. "Surviving are her husband, Will (Zenie) Clayton; two daughters, Doris and Marie; one son, Billie, and other relatives. "Sutherland Undertaking company will have charge. "Active pallbearers will be Dude Ransom, Dee Paindexter, Wade Smith, W. D. Nolen, Lee Ballanfant and Edwin Davant. [S189] Navarro County Cemetery Records, vol. 9 (Corsicana, Tex. : The Navarro County Gen. Soc'y, 1989), p. 32 (year of birth). [S961] Find A Grave, online at http://www.findagrave.com, memorial for Alberta Leader Clayton, memorial no. 46323969, viewed on 11 Aug 2014 (giving the date but not the place). [S1207] Corsicana Daily Sun, Corsicana, Tex., online archive at http://corsicana.newspaperarchive.com, 29 Dec 1928, p. 13, col. 7 (obituary of Mrs. Alberta Clayton) (not giving the date or place but stating that she was thirty-nine years old when she died on 27 Dec 1928). [S242] Joe Guthrie, Corsicana, Tex., undated biography of Joseph Alvey Clayton, given to Roger Bartlett by Joe Guthrie 31 May 1973, p. 3. [S11] Index to Texas Death Records (Austin, Tex. : Tex. Dept. of Health, Bur. of Vital Statistics), typescript, 1903-40, vol. 10, p. 4727, file 54901. [S1207] Corsicana Daily Sun, Corsicana, Tex., online archive, above, 29 Dec 1928, p. 13, col. 7 (obituary of Mrs. Alberta Clayton) (giving the date but not the place and stating that she died at 2:10 p.m. following a week's illness). [S189] Navarro County Cemetery Records, vol. 9, above, p. 32. [S961] Find A Grave, online, above, memorial for Alberta Leader Clayton, memorial no. 46323969, viewed on 11 Aug 2014. [S1207] Corsicana Daily Sun, Corsicana, Tex., online archive, above, 29 Dec 1928, p. 13, col. 7 (obituary of Mrs. Alberta Clayton). [S1207] Corsicana Daily Sun, Corsicana, Tex., online archive, above, 29 Dec 1928, p. 13, col. 7 (reprinted here with consent of the Corsicana Daily Sun, with obvious typographical errors corrected). [S242] Joe Guthrie, biography Joseph Alvey Clayton, above, p. 3 (naming Alberta Marie Leader as her mother). [S242] Joe Guthrie, biography Joseph Alvey Clayton, above, p. 3 (naming Alberta Marie Leader as his mother). [S242] Joe Guthrie, Corsicana, Tex., undated biography of Joseph Alvey Clayton, given to Roger Bartlett by Joe Guthrie 31 May 1973, p. 3 (naming William Franklin Clayton as her father). [S189] Navarro County Cemetery Records, vol. 9 (Corsicana, Tex. : The Navarro County Gen. Soc'y, 1989), p. 32 (giving only the year). [S11] Index to Texas Death Records (Austin, Tex. : Tex. Dept. of Health, Bur. of Vital Statistics), typescript, 1903-40, vol. 10, p. 4734, file 6322 (giving her name as Marie Amelia). [S189] Navarro County Cemetery Records, vol. 9, above, p. 32 (year of death). [S312] Social Security Death Index, online at http://tinyurl.com/AncestrySSDI, viewed on 14 Nov 1997. [S242] Joe Guthrie, Corsicana, Tex., undated biography of Joseph Alvey Clayton, given to Roger Bartlett by Joe Guthrie 31 May 1973, p. 3 (naming William Franklin Clayton as his father). [S388] Barbara A. Spencer, electronic mail to Roger Bartlett, 8 Mar 1998. [S961] Find A Grave, online at http://www.findagrave.com, memorial for William J. 'Bill' Clayton, memorial no. 46324235, viewed on 3 Jul 2011. Wiley Dodson ('Bub') Robinson Jr.
Other Names*: Bub Robinson, Wiley Dodson Robinson, Wiley Robinson. [S87] W. P. Murchison, "Sheriff Wiley D. Robinson," in Navarro County History, vol. 2 (Corsicana, Tex. : The Navarro County Hist. Soc'y, 1978), p. 169, (giving his middle initial as E. and naming Sheriff Wiley D. Robinson as his father). [S87] W. P. Murchison, "Sheriff Wiley D. Robinson," above, (naming Susie E. Robinson as his mother). [S241] Susie Robinson, Corsicana, Tex., letter to Will Bachman, Los Angeles, California, 18 Sep 1938, The Dallas Quarterly, vol. XXXIII, pp. 237-38 (Dec 1987), (stating that she had a 28-year-old daughter and a 23-year-old son). [S242] Joe Guthrie, Corsicana, Tex., undated biography of Joseph Alvey Clayton, given to Roger Bartlett by Joe Guthrie 31 May 1973, pp. 3, 4. [S312] Social Security Death Index, online at http://tinyurl.com/AncestrySSDI, viewed on 2 Aug 2000 (giving only the date). [S242] Joe Guthrie, biography Joseph Alvey Clayton, above, p. 4. [S11] Index to Texas Death Records (Austin, Tex. : Tex. Dept. of Health, Bur. of Vital Statistics), typescript, 1992 (microfiche), p. 1786, file 54034. [S312] Social Security Death Index, online at http://tinyurl.com/AncestrySSDI, viewed on 2 Aug 2000 (stating that he died on 21 Jun 1992; not naming the place of death but stating that he lived in Corsicana, Tex. when he died). [S242] Joe Guthrie, biography Joseph Alvey Clayton, above, p. 3 (naming Wiley Dodson Robinson Jr. as his father). [S961] Find A Grave, online at http://www.findagrave.com, memorial for Wiley S. Robinson, memorial no. 105507256, viewed on 20 Feb 2013 (attributing obituary to the Dallas Morning News, 20 Feb 2013), naming Wiley D. 'Bub' Robinson Jr. as his father. [S585] Corsicana Daily Sun, Corsicana, Tex., online at http://www.corsicanadailysun.com 19 Feb 2013 (obituary of Wiley S. Robinson), viewed on 20 Feb 2013 (naming Wiley D. ('Bub') Robinson Jr. as his father). [S242] Joe Guthrie, biography Joseph Alvey Clayton, above, pp. 3-4 (naming George Allyn Hopkins as his father). Other Names*: Joe Guthrie, George Allen Hopkins, Jr., George Allyn Hopkins, Jr.
Joseph A. Guthrie of Dallas passed away Aug. 29, 2005, at the age of 77. He was born Aug. 20, 1928, in Corsicana and graduated from Corsicana High School in 1945. In 1949, he received a B.A. Degree from Southwestern University and an M.A. Degree in 1951 from Southern Methodist University. Mr. Guthrie was a member of the Sons of the Republic of Texas, Thomas J. Rusk Chapter of Dallas, Kappa Phi Kappa, an honorary educational fraternity, and Hood’s Brigade Association of Texas. He was a descendant of several early Navarro County pioneer families, namely Dr. W. S. Robinson, early day physician of Dresden, and Joseph Alvey Clayton of Chatfield, who served under Gen. Sam Houston at the Battle of San Jacinto in Captain Mesa [sic; should be Amasa] Turner’s Company. He was also a descendant of Benjamin Franklin Lisman of Chatfield, who constructed the first metal bridge in Navarro County. He was preceded in death by his mother, Nelle May Robinson Guthrie, on Sept. 13, 1985. Graveside services were held at 4 p.m. Wednesday, Sept. 7, 2005, with Father Stephen Waller of the Episcopal Church of St. Thomas the Apostle officiating at Oakwood Cemetery in Corsicana. Honorary pallbearers were Charles E. Pearce, J. Cal Pearce, Sr., James C. Pearce, Jr., B. L. Hagle, Conan D. West, and Dr. J. W. Witten. [S242] Joe Guthrie, Corsicana, Tex., undated biography of Joseph Alvey Clayton, given to Roger Bartlett by Joe Guthrie 31 May 1973, pp. 3-4 (naming George Allyn Hopkins as his father). [S242] Joe Guthrie, biography Joseph Alvey Clayton, above, pp. 3-4 (naming Nelle May Robinson as his mother). [S8] Corsicana Daily Sun, Corsicana, Tex., 13 Sep 2005 (obituary of Joseph A. Guthrie) (naming Nelle May Robinson Guthrie as his mother). [S58] Index to Texas Birth Records (Austin, Tex. : Tex. Dept. of Health, Bur. of Vital Statistics), typescript 1928, vol. 2, p. 951, file 65644 (giving his name as George Allen [sic]Hopkins, Jr. and not naming the town). [S190] Navarro County Cemetery Records, vol. 10 (Corsicana, Tex. : The Navarro County Gen. Soc'y, 1990), p. 76 (giving the date but no other information). [S8] Corsicana Daily Sun, Corsicana, Tex., 13 Sep 2005 (obituary of Joseph A. Guthrie). [S961] Find A Grave, online at http://www.findagrave.com, memorial for Joseph Allyn Guthrie, Jr., memorial no. 11703932, viewed on 14 Mar 2012 (giving the date but no other information). [S961] Find A Grave, online, above, memorial for Joseph Allyn Guthrie, Jr., memorial no. 11703932, viewed on 14 Mar 2012. [S8] Corsicana Daily Sun, Corsicana, Tex., 13 Sep 2005 (reprinted here with consent of the Corsicana Daily Sun). Other Names*: Lena Palmeri Robinson, Lena Robinson. [S242] Joe Guthrie, Corsicana, Tex., undated biography of Joseph Alvey Clayton, given to Roger Bartlett by Joe Guthrie 31 May 1973, p. 4. [S242] Joe Guthrie, biography Joseph Alvey Clayton, above, p. 3 (naming Lena Palmeri as his mother). [S585] Corsicana Daily Sun, Corsicana, Tex., online at http://www.corsicanadailysun.com 19 Feb 2013 (obituary of Wiley S. Robinson), viewed on 20 Feb 2013 (naming Lena Palmeri as his mother). [S961] Find A Grave, online at http://www.findagrave.com, memorial for Wiley S. Robinson, memorial no. 105507256, viewed on 20 Feb 2013 (attributing obituary to the Dallas Morning News, 20 Feb 2013), naming naming Lena Palmeri as his mother. Obituary*: Wiley S. Robinson, 62, passed away on Monday, Feb. 18, 2013. Wiley was born Sept. 15, 1950 in Corsicana to Mr. Wiley D. “Bub” Robinson Jr. and Lena Palmeri Robinson. . . . He attended Navarro Junior College and was an employee of Utility Trailer of Dallas. Wiley loved God, people, country music and old cars. He was a faithful member of Mid-Cities Baptist Temple. He lived life to the fullest for as long as he could with a devotion to country music. Wiley was preceded in death by his parents and his son, Todd West. He is survived by [his wife; a son; his sister-in-law; his pets, his “girls” Candy Kiss, Penny Kay, and Maggie; and a host of special friends]. Visitation with the family will be 12 noon to 8 p.m. Thursday, Feb. 21, 2013 at Forest Ridge Funeral Home in Hurst. Service is 11 a.m. Friday, Feb. 22, 2013 in the Chapel of Forest Ridge Funeral Home in Hurst with the Rev. Jesse Wilson officiating. Pallbearers are John Ewell, James “Jerry” Armitage, Charlie Martinez, H.D. Ayers, Cliff Cook, Ed Kuser, Billy Keebler and Packy Watson. Honorary pallbearers are Frankie Miller, Doug miller, Jim Stinson, Jimmy Eaves, Terry Pack, Jerry Allen, Cody Armitage, John Everett and Cecil Shaw. Interment will follow in Bluebonnet Hills Memorial Park in Colleyville. [S242] Joe Guthrie, Corsicana, Tex., undated biography of Joseph Alvey Clayton, given to Roger Bartlett by Joe Guthrie 31 May 1973, p. 3 (naming Wiley Dodson Robinson Jr. as his father). [S961] Find A Grave, online, above, memorial for Wiley S. Robinson, memorial no. 105507256, viewed on 20 Feb 2013 (attributing obituary to the Dallas Morning News, 20 Feb 2013), naming naming Lena Palmeri as his mother. [S585] Corsicana Daily Sun, Corsicana, Tex., online at http://www.corsicanadailysun.com 19 Feb 2013 (obituary of Wiley S. Robinson), viewed on 20 Feb 2013. [S961] Find A Grave, online, above, memorial for Wiley S. Robinson, memorial no. 105507256, viewed on 20 Feb 2013. [S961] Find A Grave, online, above, memorial for Wiley S. Robinson, memorial no. 105507256, viewed on 20 Feb 2013 (attributing obituary to the Dallas Morning News, 20 Feb 2013). [S585] Corsicana Daily Sun, Corsicana, Tex., online at http://www.corsicanadailysun.com 19 Feb 2013, viewed on 20 Feb 2013 and reprinted here with consent of the Corsicana Daily Sun. [S961] Find A Grave, online, above, memorial for Wiley S. Robinson, memorial no. 105507256, viewed on 20 Feb 2013 (attributing obituary to the Dallas Morning News, 20 Feb 2013) (naming Wiley S. Robinson as his father). [S585] Corsicana Daily Sun, Corsicana, Tex., online at http://www.corsicanadailysun.com 19 Feb 2013 (obituary of Wiley S. Robinson), viewed on 20 Feb 2013 (naming Wiley S. Robinson as his father). 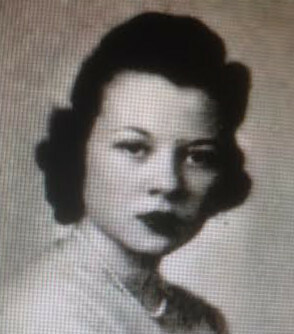 Marjorie Rattan Harper, 1942, from newspaper announcement of her wedding. Other Names*: Marjoria Rattan, Marjorie Katherine Rattan Harper, Marjorie Katherine Harper, Marjorie Rattan Harper, Marjorie Harper. [S67] The Dallas Morning News, Dallas, Tex., 15 Mar 1942, sec. 3, p. 7 ("Robert Leslie Harper Weds Marjorie Katherine Rattan") (naming Clarence Travis Rattan as her father). [S67] The Dallas Morning News, Dallas, Tex., 29 Jan 2007 (obituary of Marjorie Katherine Harper). [S67] The Dallas Morning News, Dallas, Tex., 15 Mar 1942, sec. 3, p. 7 ("Robert Leslie Harper Weds Marjorie Katherine Rattan"). [S961] Find A Grave, online at http://www.findagrave.com, memorial for Clarence Travis Rattan, memorial no. 18110599, viewed on 25 Jan 2019. [S67] The Dallas Morning News, Dallas, Tex., 10 Jul 1960, sec. 1, p. 16 (obituary of Mrs. Clarence Rattan); 12 Jul 1960, sec. 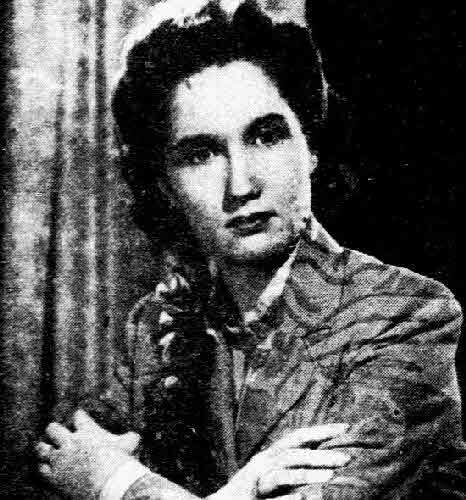 4, p. 3 (obituary of Mrs. Clarence Rattan). [S1108] Social Security Death Index, online at http://tinyurl.com/RootswebSSDI, viewed on 3 Feb 2007 (stating that he died in March 1978; not naming the place of death but stating that he lived in Covington, Tex. when he died). [S1558] Texas Deaths, 1977-1986, online at https://www.familysearch.org, record for Clarence Travis Rattan, certificate no. 21117, viewed on 25 Jan 2019. 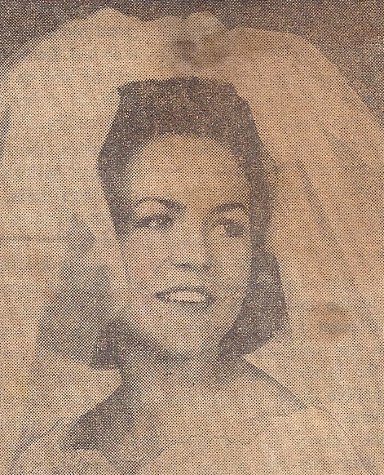 Gayle House Fuller, 1964, from newspaper announcement of her wedding. [S468] Janette Dilworth, letter to Roger Bartlett, 17 May 1973 (naming Royce Eugene House as her father). [S468] Janette Dilworth, letter to Roger Bartlett, 17 May 1973 (naming Annelle Hollister as her mother). [S58] Index to Texas Birth Records (Austin, Tex. : Tex. Dept. of Health, Bur. of Vital Statistics), typescript 1944, vol. 3, p. 1382, file 149482. [S1070] Texarkana Gazette, Texarkana, Tex.-Ark., 12 Apr 2006 (obituary of Ann Gayle House Fuller). [S128] Gayle Fuller, 4 Dreyer Place, Texarkana, Tex., written notes provided to Roger Bartlett, 29 Jan 1993. [S1070] Texarkana Gazette, Texarkana, Tex.-Ark., 12 Apr 2006. Haydon Fuller, from funeral home's online obituary. Obituary*: Haydon Theron Fuller, age 65, of Texarkana, TX, passed away peacefully with his children at his side on Monday, January 8, 2007 at UT Southwestern Medical Center in Dallas, Texas, after unexpected complications from cancer. Mr. Fuller was born on May 13, 1941, in Texarkana, Arkansas. He attended Baylor High School in Chattanooga, Tennessee and graduated from SMU in 1964 where he was a member of Sigma Alpha Epsilon Fraternity. Additionally, he returned to SMU in 1980 and obtained a degree from the Southwestern Graduate School of Banking. While at SMU as an undergraduate, he met his late wife, Gayle. They were happily married for 41 years. He served in the U.S. Army from 1966 to 1969 and received the Army Medal of Commendation upon his honorable discharge having reached the rank of Captain. 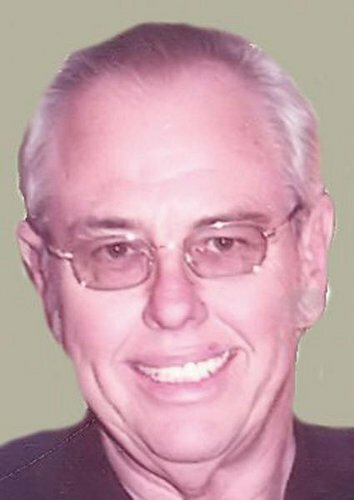 After leaving the Army, he returned to Texarkana with his wife and children and worked for the Texarkana National Bank until his retirement in 1994. While at TNB, he worked in Commercial and Installment Lending and Investments/Financial Planning in multiple capacities including Cashier, Executive Vice President, and a member of the Board of Directors. Additionally, Mr. Fuller was on the Board of St. James Day School, worked for the Texarkana Museum System, served on the Building Committee for the Alzheimer’s facility at the Cornerstone Retirement Community and was a member of the First United Methodist Church in Texarkana, AR. He was also involved with promoting Texas A&M University at Texarkana with funding for the establishment of the proposed College of Engineering and Information Sciences. Funeral Services will be at 11:00 AM Friday at the First United Methodist Church, Arkansas with Rev. Charles Settle officiating. Burial will be in Hillcrest Memorial Park under the direction of the Texarkana Funeral Home. [S58] Index to Texas Birth Records (Austin, Tex. : Tex. Dept. of Health, Bur. of Vital Statistics), typescript 1941, vol. 2, p. 802, file 40566. [S1070] Texarkana Gazette, Texarkana, Tex.-Ark., 11 Jan 2007 (obituary of Haydon Theron Fuller). [S1131] Obituary of Haydon Theron Fuller, online http://www.texarkanafuneralhome.com, viewed on 12 Jan 2007 (stating that he was born in Texarkana, Ark.). [S1070] Texarkana Gazette, Texarkana, Tex.-Ark., 11 Jan 2007 (obituary of Haydon Theron Fuller) (giving the date and city but not the hospital). [S1131] Obituary of Haydon Theron Fuller, online, above. [S1131] Obituary of Haydon Theron Fuller, online, above (edited to omit information about living persons). Other Names*: Annelle Hollister House, Annelle House. [S250] "Our Fortson Line," undated manuscript, p. 3 (indicating that Walter Scott Hollister was her father). James E. Fortson, Corsicana, Tex., provided a copy of this three-page manuscript, which he and his wife prepared, to Roger Bartlett in May 1996. [S468] Janette Dilworth, letter to Roger Bartlett, 17 May 1973 (naming Walter Scott Hollister as her father). [S1077] 1930 U.S. Census, Dallas County, Tex., City of Dallas, dwelling 303, family 549 (naming Walter S. Hollister as her father). [S250] "Our Fortson Line," undated manuscript, above, p. 3 (naming Carolyn Frances ("Callie") Fortson as her mother). [S468] Janette Dilworth, letter to Roger Bartlett, 17 May 1973 (naming Carolyn Frances Fortson as her mother). [S67] The Dallas Morning News, Dallas, Tex., 26 Dec 1941, sec. 2, p. 7 (obituary of Mrs. Caroline Frances Hollister) (naming Caroline Frances Hollister as her mother); 27 Dec 1941, sec. 2, p. 10 (obituary of Mrs. Caroline Frances Hollister) (naming Caroline Frances Hollister as her mother). [S58] Index to Texas Birth Records (Austin, Tex. : Tex. Dept. of Health, Bur. of Vital Statistics), typescript 1918, vol. 2, p. 537, file 23322 (not giving her name but identifying her as "Infant of W. L. Hollister"). [S1294] U.S. Department of Veterans Affairs, national gravesite locator, online http://gravelocator.cem.va.gov, Annelle House, searched on 18 Jan 2014 (giving the date but not the place). [S468] Janette Dilworth, letter to Roger Bartlett, 17 May 1973 (giving the date as 21 Jan 1940 and not naming the place). [S956] National Gravesite Locator, online http://gravelocator.cem.va.gov, viewed on 19 Apr 2004 (not giving the date or place but stating that she was the wife of Col. Royce E. House, U. S. Army). [S67] The Dallas Morning News, Dallas, Tex., 19 Jun 2001. [S1294] U.S. Department of Veterans Affairs, national gravesite locator, online http://gravelocator.cem.va.gov, Annelle House, searched on 18 Jan 2014. [S67] The Dallas Morning News, Dallas, Tex., 22 Jan 1941, sec. 1, p. 13 ("Annelle Hollister Becomes Bride of Dr. R. E. House"). [S67] The Dallas Morning News, Dallas, Tex., 10 Jan 1941, sec. 1, p. 12 ("Annelle Hollister's Troth to Dr. R. E. House Revealed"). Death*: She died in March 2019 at age 71. [S468] Janette Dilworth, letter to Roger Bartlett, 17 May 1973 (naming Edward Fred Seaman, Jr. as her father). [S468] Janette Dilworth, letter to Roger Bartlett, 17 May 1973 (naming Betty Lou Hollister as her mother). [S460] San Antonio Express-News, San Antonio, Tex., 12 May 2002, p. 7B (obituary of Betty Lou Hollister Seaman) (naming Betty Lou Hollister as her mother). [S58] Index to Texas Birth Records (Austin, Tex. : Tex. Dept. of Health, Bur. of Vital Statistics), typescript 1948, vol. 7, p. 3180, file 17640. [S126] Betsy H. Seaman, 3718 Hunters Circle, San Antonio, Tex., written notes provided to Roger Bartlett, 22 Jun 1993. [S3] Index to Texas Marriages (Austin, Tex. : Tex. Dept. of Health, Bur. of Vital Statistics), 1971, vol. 6, p. 2532, and vol. 9, p. 4106, file 44337. Note*: He graduated from Texas A&M University in May 1973. [S11] Index to Texas Death Records (Austin, Tex. : Tex. Dept. of Health, Bur. of Vital Statistics), typescript, 1973, vol. 2, p. 935, file 77612. [S312] Social Security Death Index, online at http://tinyurl.com/AncestrySSDI, viewed on 17 Mar 1998 (stating that he died in Sep 1973 and not naming the place of death).